Great news – we've launched a bounty campaign. You don't know what is it? It's a campaign for anyone who want to help our project. 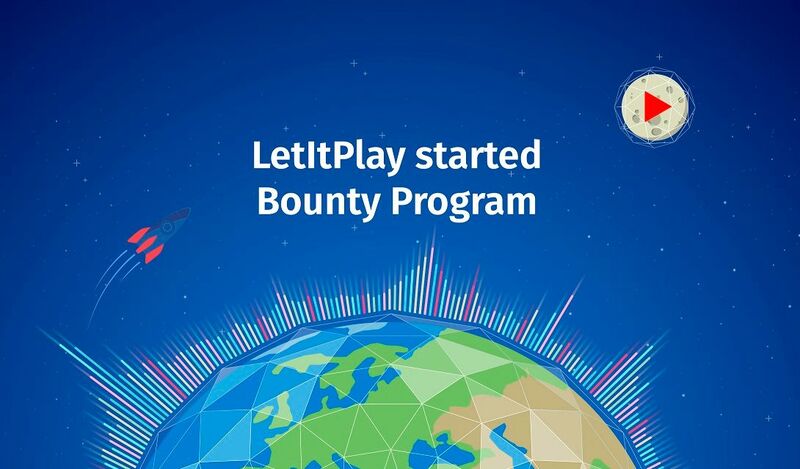 By taking part in it, you not just support LetItPlay, but could also earn PLAY tokens. There are 10 000 000 of them reserved for this. Keep the signature (as well as the avatar and the personal text if you picked them as well) till the end of campaign and be an active member/ regular contributor. You think that's all? Not even close. Our bounty campaign will affect all the major social network: Twitter, Facebook, Youtube, Steemit, Telegram and even Reddit. Read the full terms here. Register and help us build an audio future of the internet whith us. I just joined up for this project. It potentially valuable but you’ll need at least 1 EOS token in your eth wallet to take part by June 1. This post has received a 2.93 % upvote from @boomerang. The page https://www.facebook.com/letitplayio doesn't work ! FB blocked our page. We are trying to fix that problem at the moment. And what about a1rdr0p for EOS holders? Glad to found this project, I am very enthusiastic about EOS platform. More importantly, LetItPlay has a very rock solid business plan that I think traders would appreciate.